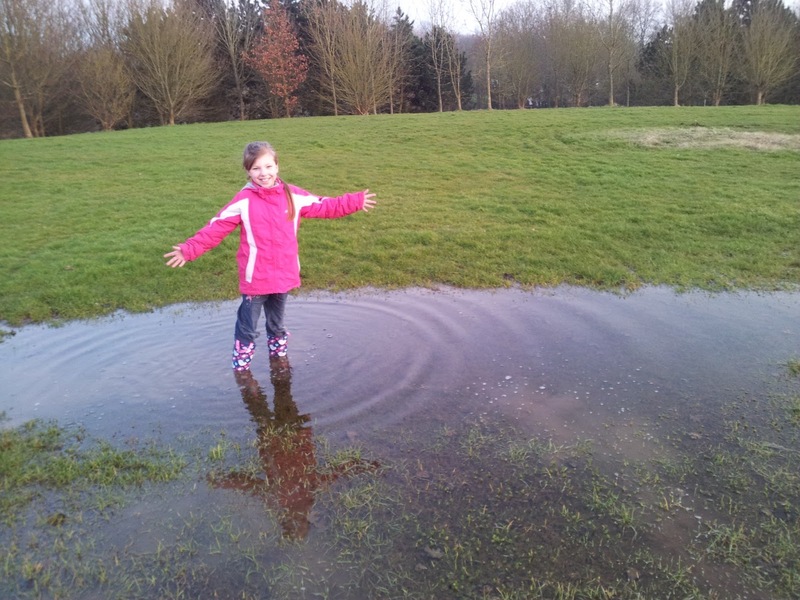 Thankfully the snow has gone and the rain has stopped but the huge puddles still remain! We have taken the poochie out a few times this week before the Mr has returned from work for some fresh air and some exercise. The Mini Mes love throwing Spartan's ball into the puddles and getting splashed as he jumps in to fetch it. 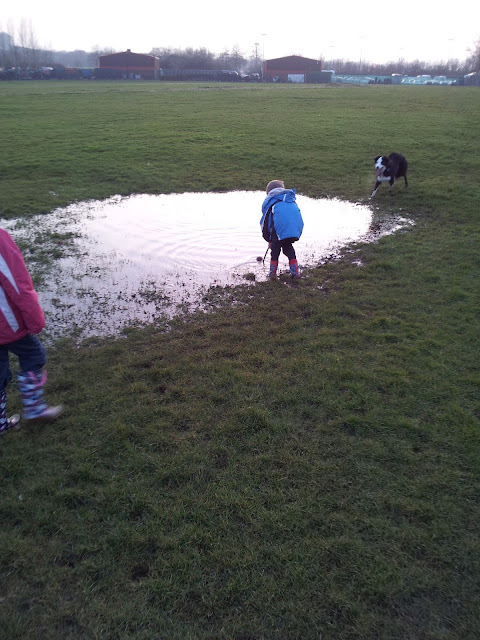 They like throwing in pebbles to watch the ripples and walking through them to see how deep the water is. Hopefully it won't be long until it's warm enough to take the football without it getting stuck in mud! Have you had fun outdoors this week? Puddles, children and wellies = fun! and to have a dog as well is a bonus. I think it's great how we make the best of our weather in uk. Thank you for linking to Country Kids. 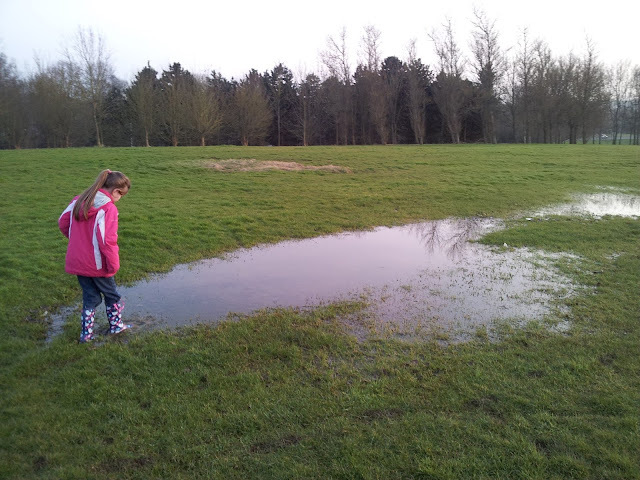 Wow Rosie would be in her element...huge puddles!! 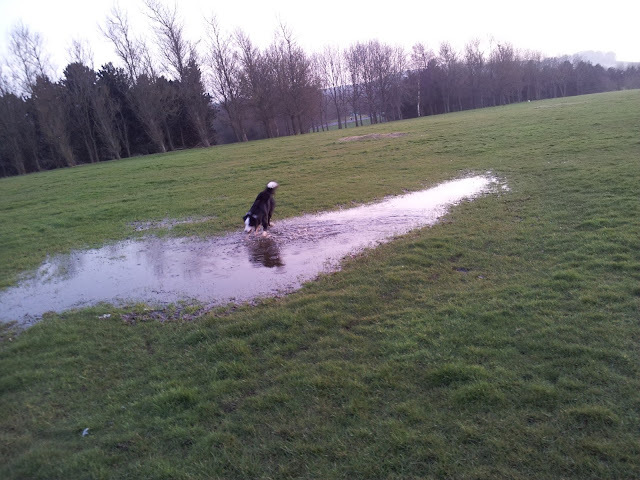 Wow, that is a huge puddle. Perfect for splashing in! Puddles are always such good fun. Great pictures.